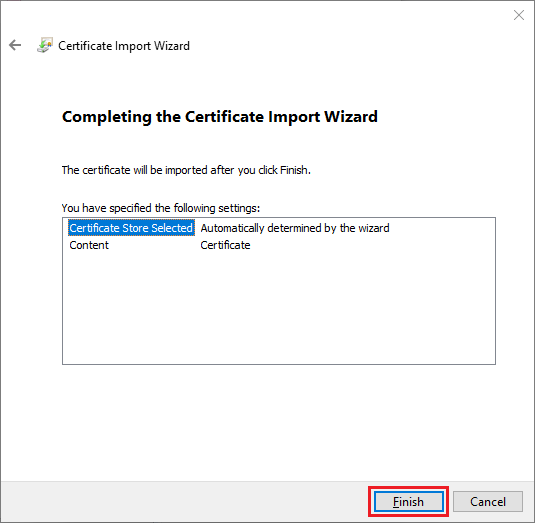 I am using QODBC to export QuickBooks Data into MS Access or Excel and getting a certificate error. 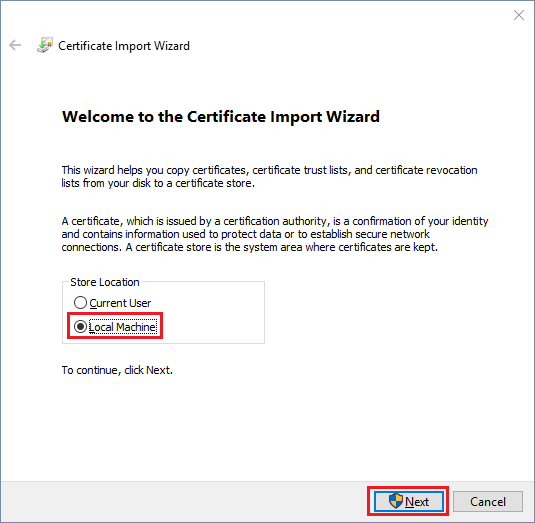 When I tried to connect to QuickBooks using MS Access or Excel, A message just started today saying that "An application with an invalid certificate is requesting access to the following Quick Books File. It says to go to preferences - which I did and don't know what to do to get rid of this error and to access my tables using QODBC. What do I need to do to resolve this issue? Note: A new build of Office 2016 shall be released soon which will fix this issue. Refer Office 2016 - July 2017 updates and MSIT TEST CodeSign CA Also, Check MS Office Updates page to know if Microsoft has released a new version of Office or not https://support.office.com/en-us/article/What-s-new-in-Office-365-95c8d81d-08ba-42c1-914f-bca4603e1426?ui=en-US&rs=en-US&ad=US&fromAR=1 section - Complete list of all updates. Update 2017-07-29: Microsoft has released an update for MS Office 365/2016 refer July 28, 2017 Version 1707 (Build 8326.2059). This update contains the fix for the invalid certificate error. "Fix an issue with how some program files are signed, causing anti-virus programs to flag those files as well as problems protecting or accessing data under Windows Information Protection (WIP)." Please update MS Office to the latest version. In case you are still facing the issue, Please follow below steps. 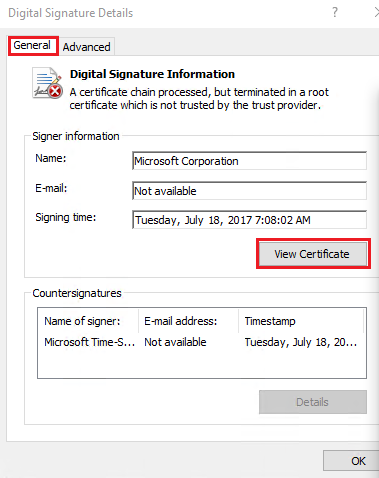 Please check digital signature in MS Access. 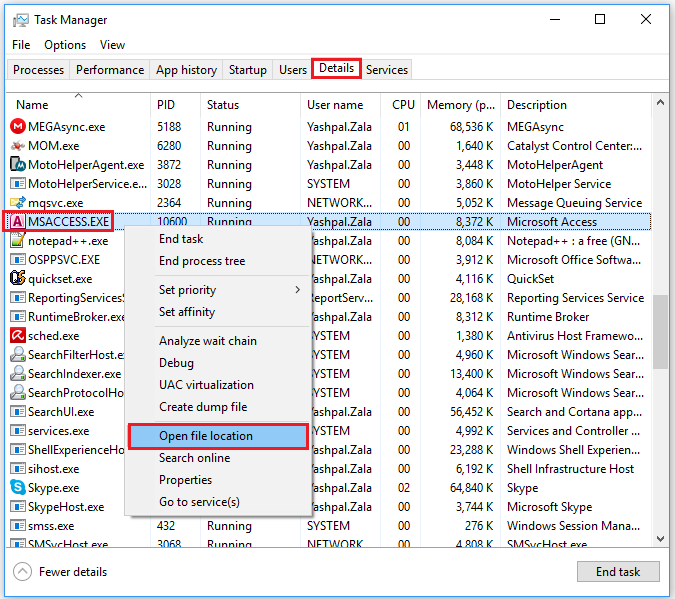 Open task manager right-click on msaccess.exe or access.exe and click on Open File Location. If the error is occurring in MS Excel Please check digital signature in MS Excel. 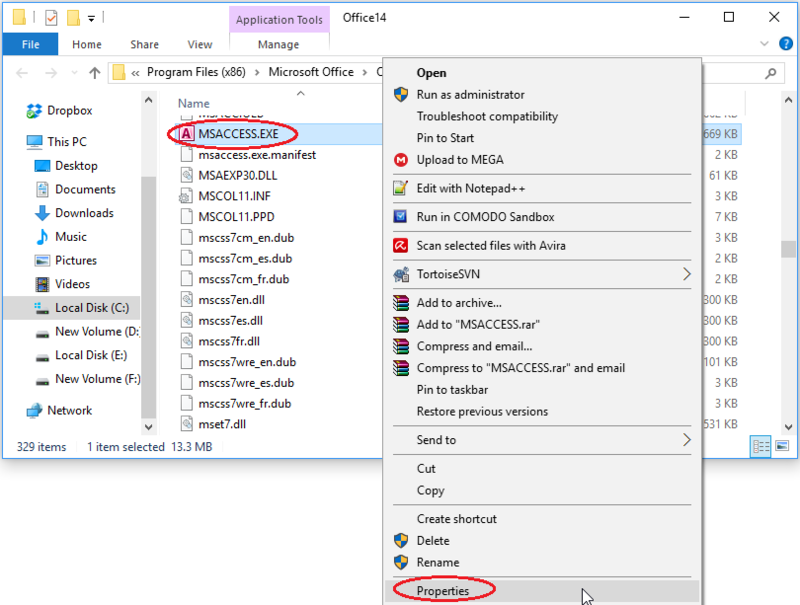 Open task manager right-click on msexcel.exe or excel.exe and click on Open File Location. Follow the screenshots below using MS Excel in place of MS Access! You will be navigated to Access EXE location. Once you have located the executable (EXE) location, you need to right-click on "msaccess.exe" or "access.exe" and click on "Properties". Navigate to "Digital Signatures" tab & click on "Details". 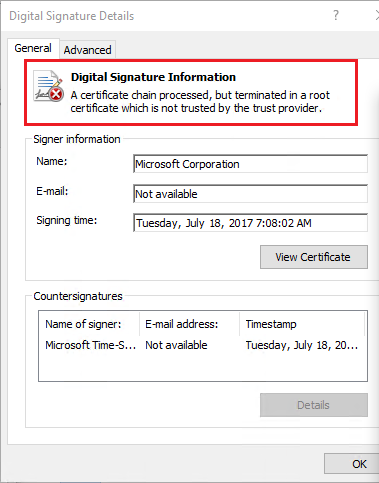 You will notice "Details" has a red icon and says "A certificate chain processed, but terminated in a root certificate which is not trusted by the trust provider". You need to install the latest certificate. Please click on "View Certificate" to install Certificate. 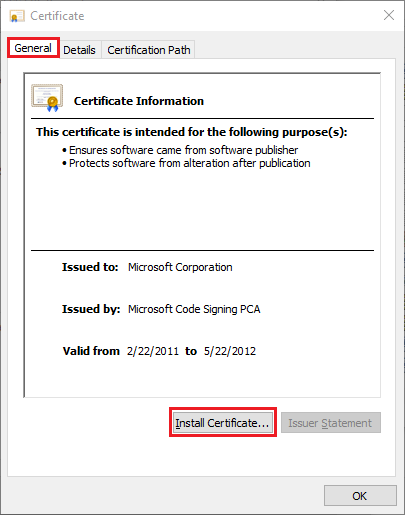 Please click on "Install Certificate" to install Certificate. Please follow installation steps as below. Select store location "Local Machine" & click "Next". 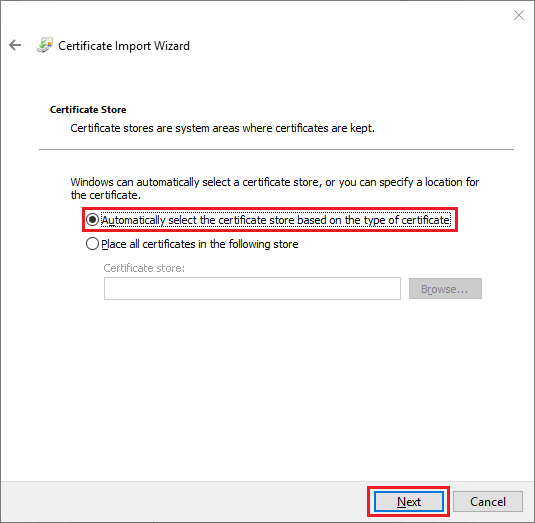 Select "Automatically select the certificate store based on the type of the certificate" & click "Next". Please finish the installation by click on "Finish". After Installation please Restart the machine and Test Connection. You will be back to the Certificate Window. Please install the certificate again. This time you will install it under "Trusted Publishers"
Select "Place all certificates in the following store" & click "Browse...". Select "Trusted Publishers" from the list of folder/stores. Update - 2017-07-28: If you are still facing the issue, you can follow below steps. Navigated to Access/Excel EXE location. 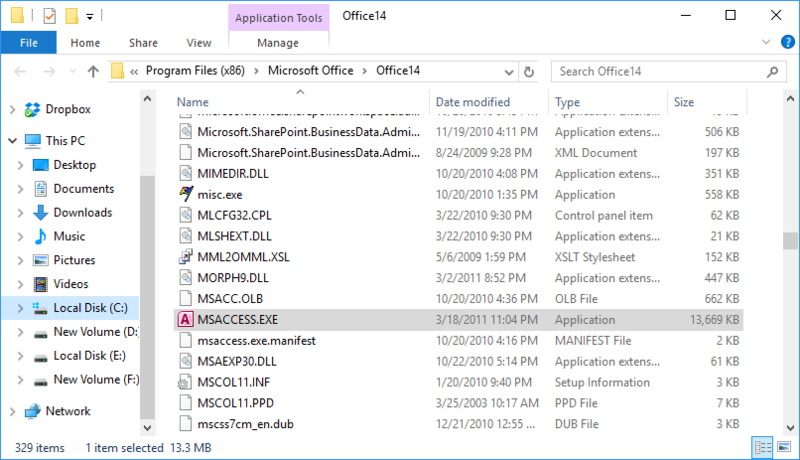 Once you have located the MS Access/Excel executable (EXE) location, you need to right-click on "msaccess.exe" or "access.exe" or "excel.exe" and click on "Properties". Navigate to "Digital Signatures" tab & click on "Details". 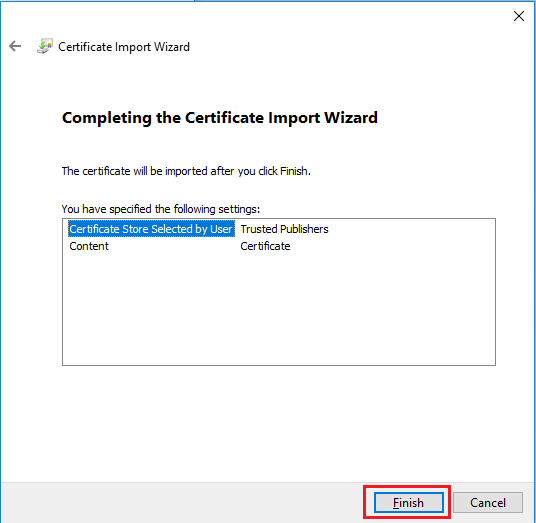 Switch to "Certificate Path" window. 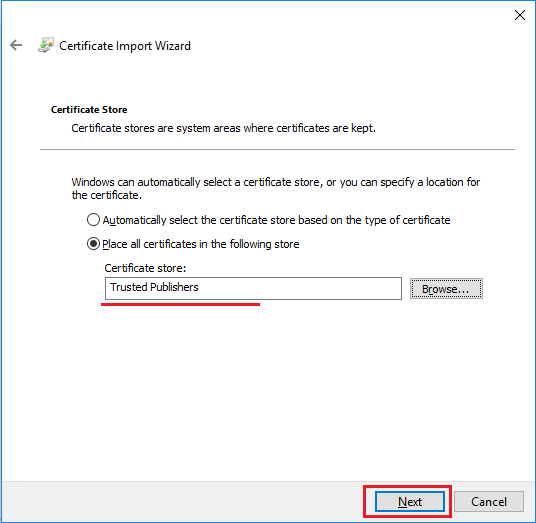 After switching to "Certificate Path" window, click "View Certificate". Click "Install Certificate"
Please follow installation steps as below. Select store location "Local Machine" & click "Next". 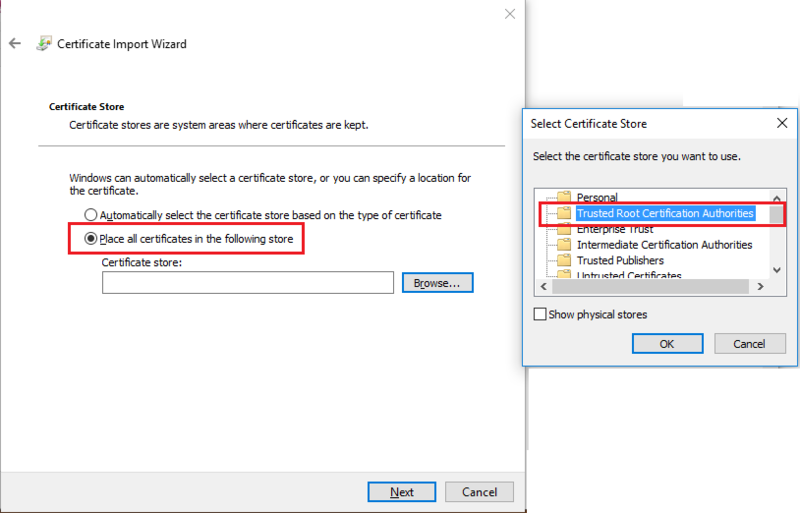 (if you do not get the welcome screen, you might directly get "Certificate Store" step. 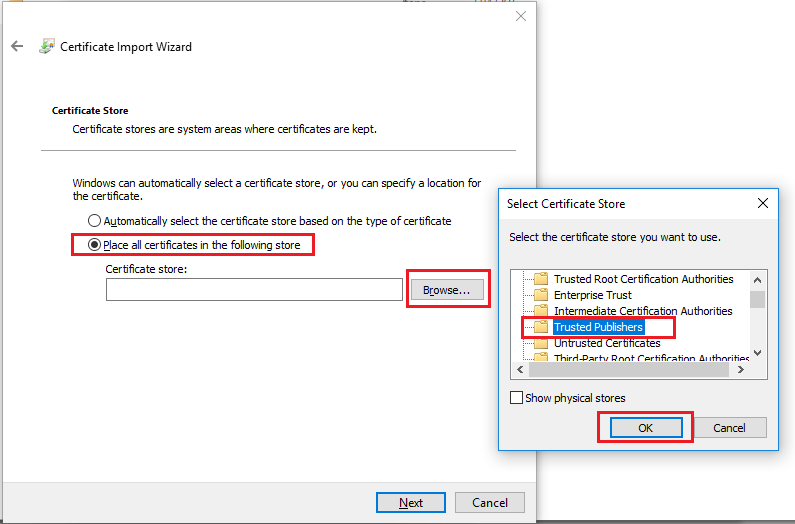 Select "Trusted Root Certification Authorities" from the list of folder/stores. Please finish the installation by click on "Finish". 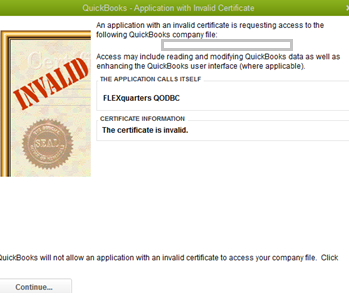 If prompted for accepting the certificate, click "Yes"
Start QuickBooks, log in to Company File. Switch Company File to single user mode. 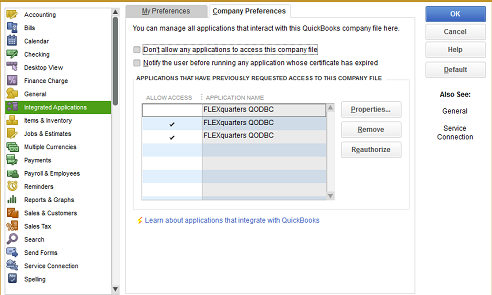 From the menus, Click "Edit" -- "Preference" -- "Integrated Applications" -- "Company Preferences". Please start MS Access/Excel and test the connectivity. In case you are facing MS Access/Excel Crash, Please Click here and follow steps from the article. If still facing the issue, try updating Windows update to the latest. Restart machine and Test Connection. If still facing the issue, try Reinstalling MS Office or contacting Microsoft support. 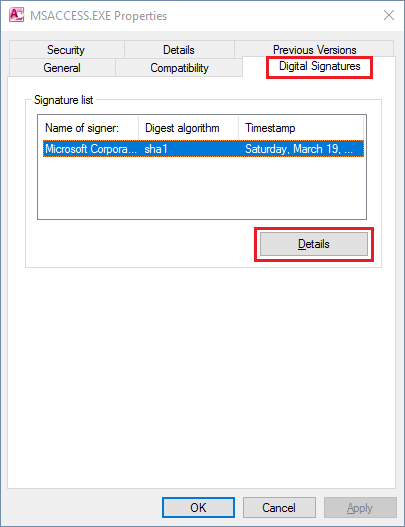 Note: Windows 7 doesn't support SHA256 signatures by default. You need to apply windows update. This was literally the issue I was having and the exact solution. My machine simply needed the MS Office 365 update! !